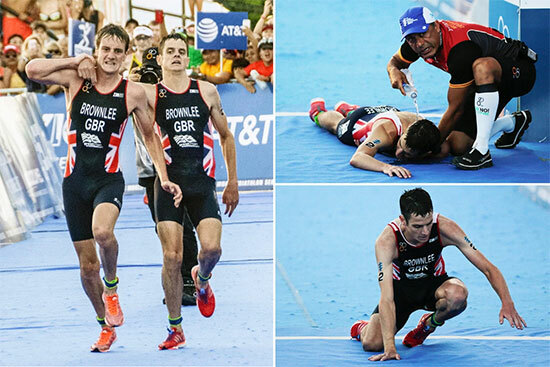 To help him win the title that held his arms, Alistair Brownlee was until porter and then pushed his little brother Jonathan Brownlee, taken from a malaise 300 meters from the finish line of the Triathlon of Cozumel in Mexico. It is not about winning the race but it's about how you finish it. Watch the touching video after the click.